Where is the Best Cosmetic Dentistry In Downtown Los Angeles? 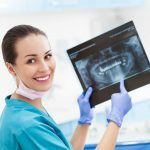 Home » Where is the Best Cosmetic Dentistry In Downtown Los Angeles? Cosmetic dentistry is the term given to all the dental procedures that are meant to enhance the appearance of the teeth. The procedure can be conducted in order to enhance the performance of the teeth in activities such as biting or it can be for aesthetic reasons only. In order to enhance the appearance of the dental formula, there are various things that can be done such as altering the color, size, shape, position and the overall appearance of the smile. Patients who particularly need cosmetic dentistry downtown Los Angeles need to be very careful when selecting a dentist as many of them are using the term only to lure more patients and are actually not trained in the specific area. The Smile LA Modern Dentistry is home to many qualified and proficient cosmetic dentists with several decades of relevant experience. 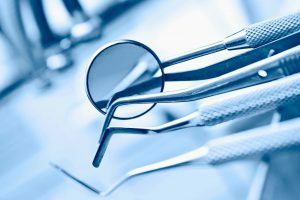 The ADA (American Dental Association) has not approved cosmetic dentistry as a branch of specialty in dentistry, but many dentists use it still as a marketing strategy. The ADA has approved nine areas of specialization in dentistry and the main one that deals with smile and teeth enhancement are prosthodontics and orthodontics. Periodontics and endodontic are the two areas that can be mainly associated with cosmetic dentistry. There are various procedures in cosmetic such as placement of dental veneers, dental implants, teeth whitening, and gingivectomy. Dental veneers are at times referred to as dental porcelain laminates or porcelain veneers. They are also referred to as instant orthodontic. They are usually as thin as wafers and are made from shells with a similar color to that of teeth. They are crafted to conceal the front part of the teeth hence making the appearance more appealing. These veneers are capable of altering the size, shape, length, and color of teeth. This procedure is also referred to as enamel paste. The procedure involves the extraction of the gums or the teeth. This is done to prevent further damage being done on the teeth, gum or the rest of the dental formula. A smile with a perfect set of white teeth gives voluminous information regarding the individual’s degree of self-esteem and confidence. It is a common occurrence for business to hire people with teeth that are pearl white, well aligned and shaped during their social gatherings to mingle with their guests. This shows the high extent to which people hold individuals with a perfect smile. Every individual is entitled to a perfect smile especially with the current trends in cosmetic dentistry.